The gap between the employment conditions in the west and the rest of the nation has dramatically widened. New Bureau of Statistics figures show Western Australia by far the best place to look for work with just 1.7 unemployed locals for each vacant job in May - a ratio that means anyone looking for a job has a better than even chance of getting one. By contrast in NSW there were roughly four unemployed locals fighting for each vacant job, in Victoria five, and in Tasmania almost eight - a ratio that made finding a job unlikely. So large has the pool of unfilled jobs in Western Australia grown it is now almost as big in Victoria, a state with twice the population. Queensland now has more unfilled jobs than Victoria and almost as many as NSW. 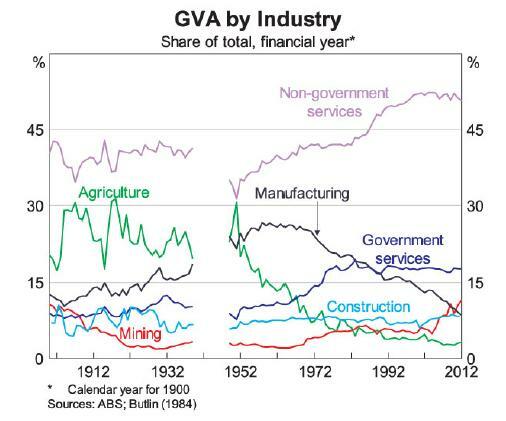 But although Australia’s mining states have by far the best employment markets, comparatively few of Australia’s 172,000 vacant jobs jobs are in mining itself... The ABS reports 9600 unfilled jobs in mining, 12,000 in manufacturing, 13,000 in health care and social assistance, 14,000 in retail and 18,000 in administrative and support services. Two fields related to mining report big demand for workers. The construction industry is attempting to fill 20,000 vacancies and the scientific and technical services industries another 20,000. Five years ago in the lead up to the election that swept him to power Kevin Rudd called a housing summit. He promised to make affordable housing a top priority and in office set a series of targets for the Council of Australian Governments. Today in a damning assessment of progress the COAG Reform Council will report it finds “no indication” overall affordability has improved. The annual assessment finds rental affordability has worsened, especially for those on the lowest incomes. Households are said to be in rental stress when rent takes up more than 30 per cent of their gross income. The report says Labor took office with 49 per cent of Australia's poorest households in rental stress. By 2009-10, the most recent year for which figures were available, 61 per cent of those households were in rental stress. In NSW and Victoria more than two-thirds of very low income households were in rental stress - the worst results in the nation. In the ACT only 38 per cent faced rental stress. “We are talking about the Australians who can least afford the extra financial burden,” said Council chairman Paul McClintock ahead of the release of today’s report. Mission Australia executive Eleri Morgan-Thomas described the findings as “eye-opening”. “Measured against the aims of the affordable housing agreement - for example, that people are able to rent housing that meets their needs - this report clearly shows there has been no progress, and in some cases we’ve gone backwards,” she said. Dumb, and Dumber. Why on earth did Australia sign ACTA? A treaty signed by the Australian government that could have made it illegal to link to or mention on the web other websites that breached copyright law has been struck down by an all-party parliamentary committee. The so-called Anti-Counterfeiting Trade Agreement would have also broadened the definition of the term “counterfeiting” to call into question the legality of manufacturing generic medicines. Negotiated largely in secret, and signed by trade minister Craig Emerson in Tokyo the agreement was sent to the treaties community for examination prior to ratification. Usually the committee gives a tick to such agreements. 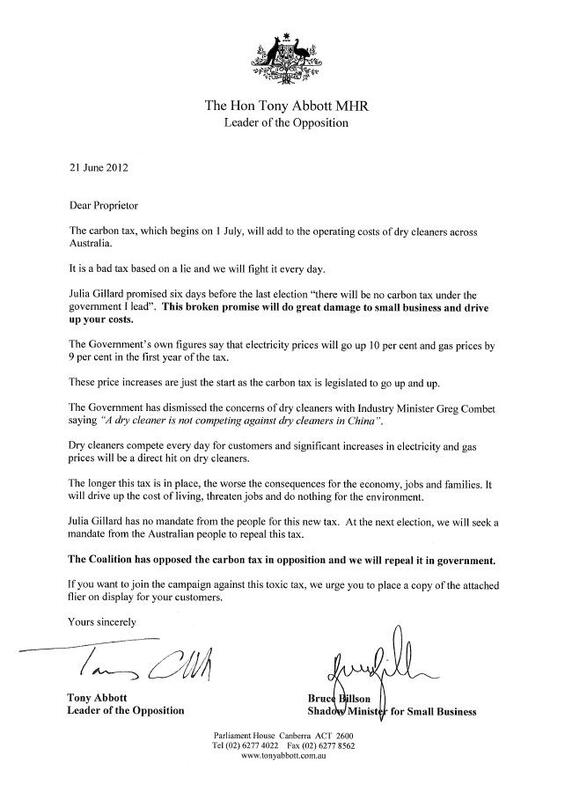 Yesterday in a unanimous report signed by Labor, Green and Coalition members of the parliament the committee said no. The committee found the wording of the treaty vague with terms such as “aiding and abetting”, “piracy”, “counterfeiting” and “intellectual property” dangerously open-ended. The committee has asked for an independent assessment of the economic and social benefits and costs of the treaty and for the final report of the Law Reform Commission’s inquiry into copyright and the digital economy before the considers ratifying the treaty. The Law Reform Commission is not due to report until late 2013. The committee was concerned that ratifying the treaty might make its findings redundant. Greens senator Scott Ludlam said the treaty seemed to be a foundation agreement for a serious crackdown on file sharing. “The wording is broad, but you can see where it is going to end up,” he said.
. Why do we negotiate free trade agreements in secret?
. Why treat downloaders worse than speeding drivers? The SA Report, now its second year, encourages healthy debate and discussion about our State. 891 ABC Adelaide and ABC Local Radio are inviting South Australians to join the discourse during a special day of broadcasting on Thursday June 28. "If I could pick only one economic statistic to give me a picture of a state’s economic health I would use the unemployment rate. 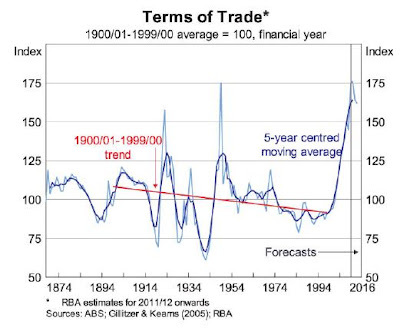 South Australia’s has been hovering around 5% for eight months. That’s a good sign in itself. But what’s even better is that it is almost exactly in line with what’s been happening to the nation. Despite all the talk about a “two-speed” Australian economy dispersion of unemployment rates across the nation is close to the lowest it has ever been. That’s because Australia (including South Australia, at the vangarde of demographic change) is running low on workers. Yes, manufacturing firms are closing. But that’s been happening for a long time. And many of the workers in those firms are reaching retirement age. So too are teachers. The state Education Department has traditionally been the state’s biggest employer. South Australia is likely to be low on workers from here on. If Olympic Dam gets the go-ahead, that will be an economic plus (although not necessarily an environmental plus). If it doesn’t, there are other smaller mining projects on the drawing board and even if they don’t all go ahead the rising tide of national demand for workers will lift the South Australian boat. Weak GST revenues make things difficult for the state government, but it made the right decision in forgoing its top credit rating rather than savagely cutting spending. South Australia’s fortunes are tied to Australia’s fortunes. It is a linkage many other parts of the world would love to have." INCOME TAX CUTS Every worker earning up to $80,000 will pay less tax. LOW INCOME SUPER TAX RELIEF: A payment of up to $500 a year will effectively mean no tax is paid on compulsory super contributions for workers earning up to $37,000 a year. SCHOOLKIDS BONUS Worth $410 per annum for each primary school student and $820 for each secondary school student for families on Family Tax Benefit A. To be paid each January and July from January 2013. An early full-year payment was made this month. EXTRA FAMILY TAX BENEFIT Families receiving the maximum rate of Family Tax Benefit Part A with two or more children will receive an extra $300 a year if they have one child, $600 a year for two or more children. Families receiving the base rate will get $100 a year if they have one child, $200 if they have two or more children. LUMP SUM SUPPLEMENTARY ALLOWANCE $210 a year for singles or $350 a year for couples receiving benefits such as Newstart, Youth Allowance, Austudy and Parenting Payment. CLEAN ENERGY SUPPLEMENT equal to a 1.7 per cent increase in pensions, allowances and family payments, worth up to $338 per year for single pensioners and self-funded retirees, up to $510 per year for pensioner and self-funded retiree couples, up to $110 per child for a family that receives Family Tax Benefit Part A. Paid fortnightly from March or July 2013. Advance payments were made in May and June. LOWER CAP ON EXCESS SUPER CONTRIBUTIONS For most people the cap will fall from $50,000 to $25,000. Extra contributions of more than $25,000 will be taxed at 31.5 per cent in addition to the 15 per cent superannuation contribution tax. MEANS-TESTED PRIVATE HEALTH INSURANCE REBATE Individuals earning more than $84,000 and families earning more than $168,000 will have their rebates cut 10 percentage points. (For instance those under 65 will get a rebate of 20% instead of a 30% rebate.) Individuals earning more than $97,000 and families earning more than $194,000 will have their rebates cut 20 percentage points. Individuals earning more than $130,000 and families earning more than $260,000 will get no rebate. MEDICARE LEVY SURCHARGE Currently 1% for individuals earning more than $84,000 and families earning more than $168,000 who do not take out private health insurance, the surcharge will climb to 1.25% for individual incomes of $97,001 to $130,000 and family incomes of $194,001 to $260,000. 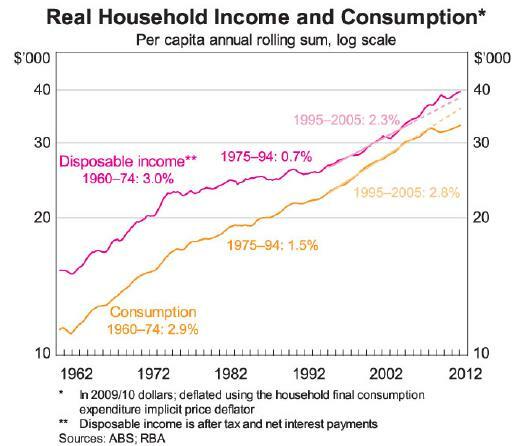 It will climb to 1.5% for individual incomes above $130,000 and family incomes above $260,000. NET MEDICAL EXPENSES TAX OFFSET INCOME TEST Individuals earning more than $84,000 and families earning more than $168,000 will have to spend $5000 on out-of-pocket medical expenses before they are eligible to claim the offset ($2,120 next year) and will only be able to claim 10% of what is spent (normally 20%). LOSS CARRY-BACK: Companies will be able to uses losses of up to $1 million to get a refund of tax previously paid. CARBON TAX – Almost 300 heavy carbon emitters to pay $23 a tonne for every tonne of carbon they release. MINERALS RESOURCES RENT TAX – Iron ore and coal miners to pay 30 per cent mining tax.
. 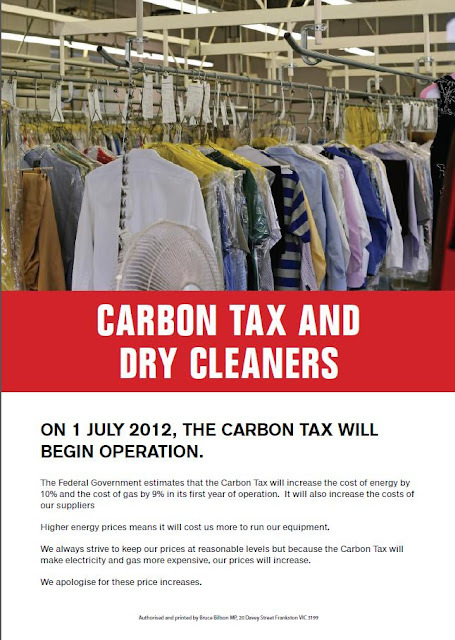 The carbon tax will cost us how much? The national broadband network may be a decade away, but already 91.2 per cent of Australian businesses are connected to the net. Of those, an impressive 99.1 per cent connect by broadband rather than dial-up. Even in the agriculture sector, where a lower 88.5 per cent of businesses use the net, 98.3 of them do it via broadband. The annual Bureau of Statistics survey finds Australia’s smallest businesses the least connected. So-called micro businesses employing four or fewer people have an 89 per cent connection rate (99 per cent via broadband). Mid-sized businesses employing up to 19 people are 93 per cent connected (99.2 per cent via broadband). Big business employing 200 or more are all connected (99.7 per cent by broadband). Five years earlier when the then Labor opposition was drawing up its plans for the national broadband network only 81 per cent of businesses were connected to the net, although even then 82.5 per cent did it via broadband. Five years ago only 30 per cent of Australian businesses had websites. Today it is 42 per cent. Among businesses employing 20 or more people it is 74 per cent. Five years ago only 37 per cent of businesses placed orders via the net. Today it is 51 per cent. The proportion of businesses capable of receiving orders via the web climbed from 21 to 28 per cent. A record $189 billion of orders were taken by the web during 2010-11, up $46 billion on 2009-10. The sectors making the most use of the web for taking orders are wholesale trade and manufacturing, where more than 50 per cent of businesses engage in e-commerce. The sectors using the web least for transactions are agriculture and health care and social assistance. But even in those legard sectors e-commerce is far more prominent. Five years ago just 2 per cent of health care and social assistance businesses took orders via the web. Today it is 13 per cent. The ABS measure of orders taken by the web is conservative, excluding regular orders made via the internet for which the original commitment to purchase was made using other means. Where are these ads coming from? The high exchange rate, the mining boom and the global financial crisis are not to blame for the decline of manufacturing. It was suffering anyway. So says Gary Banks, head of the Productivity Commission, who is even prepared to put a number on what the recent upheavals have done to Australian manufacturing. He says they’ve advanced its long-term trend decline one-and-a-half to two years. “The boom has just compounded the longer-term trends that we see in every OECD country,” he told a Deakin University seminar at parliament house in Canberra yesterday. 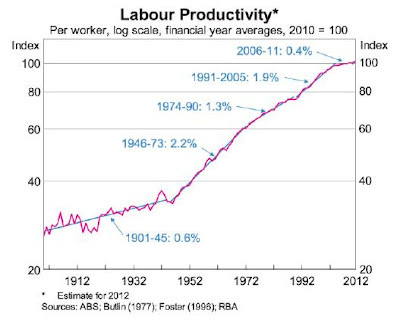 Mr Banks said the main way in which the mining boom has hurt manufacturing been by making Australians more wealthy. 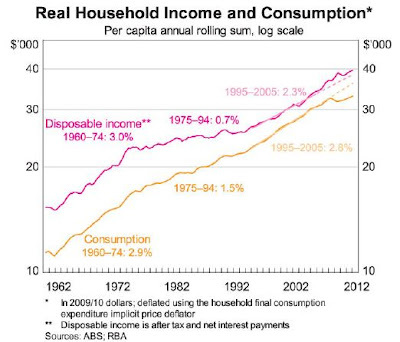 Australians have more to spend, especially on services, meaning other goods have to “make way”. “The rising exchange rate has simply been a facilitator of that,” he said. Further assistance could actually compound the problems for manufacturing, the Productivity Commission chairman said. To the extent that it helped manufacturers export or cut imports it would push up the dollar further. Assistance for innovation was “okay,” but “everything gets tries to be called innovation for that reason”. Assistance to help displaced workers was “a good idea,” but it should be directed at the workers not their employers. Australia’s natural gas boom threatens to set off a new round of interest rate hikes, pushing economic growth above the level with which the Reserve Bank is comfortable. An analysis commissioned by the industry itself finds that by 2016 LNG investment will add 2.2 per cent to GDP growth. 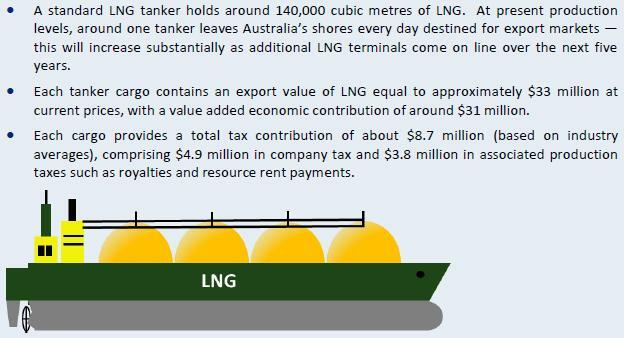 Written by Deloitte Access for the Australian Petroleum Production & Exploration Association the study says over the next few years substantial additions to capacity will propel Australia towards becoming the world’s second largest exporter of liquefied natural gas. Of the 14 gas liquefaction plants under construction or firmly committed around the world, eight are in Australia. If all the planned oil and gas investments come to pass, they will comprise over 64 per cent of all Australian investment. At present amounting to 2 per cent of Australia’s gross domestic product, by 2020 when production and prices peak, oil and gas should be worth 3.5 per cent of the economy. The report says as a result Australia’s GDP should increase “significantly above the reference case”. By 2016 GDP is expected to be 2.2 per cent higher than it otherwise would have been. 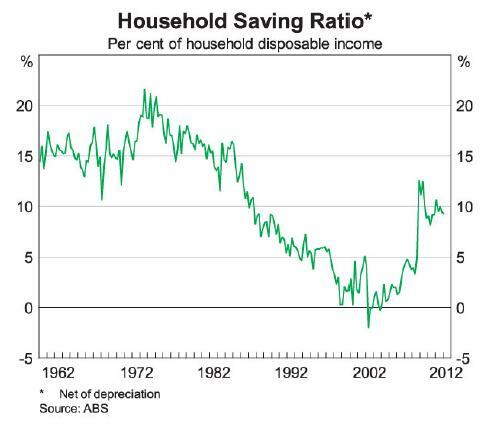 The finding implies pressure to push growth up from its long-term average of around 3.25 per cent to near 5.45 per cent, well above the level with which the Reserve Bank is traditionally comfortable. The report says the boom will depress the economies of two states, NSW and Tasmania, while dramatically boosting those of Western Australia and Queensland. The report warns against direct measures to assist industries suffering as a result of the adjustment saying “any new policy rigidities or constraints such as explicit industry protection measures, mandated local content requirements, onerous project approvals frameworks and additional fiscal imposts will ultimately sacrifice economic welfare and intensify adjustment pressure on other sectors”. Mandating that some of the gas be used in Australia would reduce financial returns, essentially acting “as a subsidy to other industries and a tax on developing gas reserves”. “Many of the current calls for continuation and extension of the reservation scheme appear to have a legacy element. A form of domestic gas commitment was a feature of the State Agreement which covered the North West Shelf Project,” the report says. Perth mortgage payments drove up the national total, soaring 54 per cent over five years (while Perth rents soared an extraordinary 78 per cent). Sydney mortgage payments climbed a more sedate 20 per cent, Melbourne payments 35 per cent. Perth has become a higher-income city than Sydney, boasting a typical household income of $75,868, a touch above Sydney’s $75244 and Melbourne’s $69,316. Darwin and Canberra are by far the highest earning capitals, typically taking in $93,912 and $99,840 per household. Hobart remains in last place with a typical household income of $55,380. Reflecting the income differences Western Australia’s population grew at the fastest rate in nation, swelling 14 per cent in the five years. Tasmania’s grew 4 per cent. Western Australia’s East Pilbara was the fastest growing locality, expanding 83 per cent between 2006 and 2011. Almost four in ten residents of the East Pilbra were born overseas, compared to the Australia-wide average of three in ten. Underline the unusual nature of the regional boom, census executive director Andrew Henderson said Australians typically “associate rural and remote areas with population decline”. The Western Australian trend was “right in the face of that”. Men make up 76 per cent of the East Pilbra population compared to just below 50 per cent in Australia as a whole. In the 2011 census Western Australia shared with the Northern Territory the unusual distinction of housing more men than women. In every other state women outnumber men. The census site itself is here. And yes, the ABS did have to set its population clock back. In fact the first small bit of census data released yesterday we have far fewer people. In December it was 22.5 million people - 300,000 fewer than the clock suggests. Tim Colebatch has the details. This and much more at 11.30 am AEST! Even the RBA says the arguments were "finely balanced"
The Reserve Bank’s decision to cut its cash rate this month was a close-run thing. Minutes released yesterday describe the discussion of the 0.25 point cut as “finely balanced”. On one hand was domestic data which “generally had not suggested a significant weakening in conditions”. On the other was “clear evidence suggesting a softening in global conditions,” and increased uncertainty about the future in Europe. The minutes note that lenders passed on only 0.30 to 0.40 points of the 0.50 point cut in May. As a result, typical interest rates on outstanding home loans were around 0.40 points below their long-term average, while rates on small and large business loans were 0.30 and 0.60 points lower. The minutes indicate sympathy for lenders who hadn’t passed on the full 0.50 points referring to “strong competition among banks for term deposits and the continuing pressure this was having on the funding costs”. They also quantify the contractionary effect of the May budget saying it is likely to be “considerably less” than the 3 per cent implied by the move to surplus... A range of 0.75 to 1.50 per cent is more likely, given the timing of the measures and the preponderance of cuts to spending which would have been offshore. 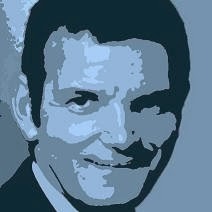 Deutsche Bank economist Adam Boyton said the minutes seemed to imply the prospect of a further easing in July was remote. But he said he still expected cuts amounting to 0.50 points by the end of the year. A key member of the Henry Tax Review has rounded on business lobbyists calling for a cut in the company tax rate saying the government was right not to cut it and it’s wrong to say the review wanted it to. “I advocated a cut in the company tax rate when I signed the Henry report,” former Treasury deputy secretary Greg Smith told a Committee for the Economic Development of Australia function in Canberra. Mr Smith was particularly scathing of calls by the Business Council and others for even more investment in Australia. “We already have the highest investment rate in the developed world. 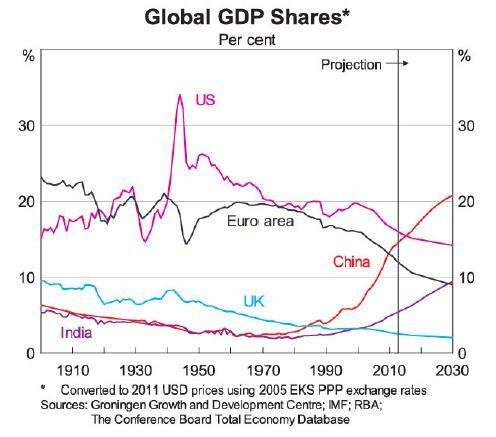 The idea that we can increase it in the next five years is ridiculous, completely absurd". "Already it's an enormous stress on our economy... It is leadign to a massive switch in the utilisation of rents from profit earners to workers in those industries." “If you tried to go to 35 to 40 per cent of GDP all that would happen is that you would see interest rates and other adjustments creating further problems in order to offset the inflationary and other and marcoreconomic problems that such an investment level would bring." Australia’s biggest problem was changing demography, not lack of investment. Life expectancy was advancing a year every decade and yet the super system encouraged retirement at 60. The planned increase in compulsory super contributions was set to cost more in tax concessions than it would save by taking retirees off the pension.
. Henry's not dead, not resting. The next election will be austere if Treasury boss Martin Parkinson gets his way. He told the Committee for the Economic Development of Australia in Canberra last night Australians to get real and realise they couldn’t “have it all”. Ageing and rising expectations were likely to put “enormous pressure” on budgets. The taxation base was “weaker than had been imagined in the mid-noughties”. “Much of the debate assumes we can have it all, with people simultaneously believing we can maintain or even reduce taxation levels while keeping the current range of social policy interventions with limited targeting and self-provision – and indeed adding to this with a long list of worthy, but expensive, new proposals,” he told the conference. Treasury will soon publicly release its methodologies for costing political promises, giving the community and political parties a clearer idea of how it evaluates policies. It was severely criticised by the Coalition after the 2010 election when it found what it said were up to $10.6 billion of errors in costings the Coalition had had certified by a two Perth accountants... 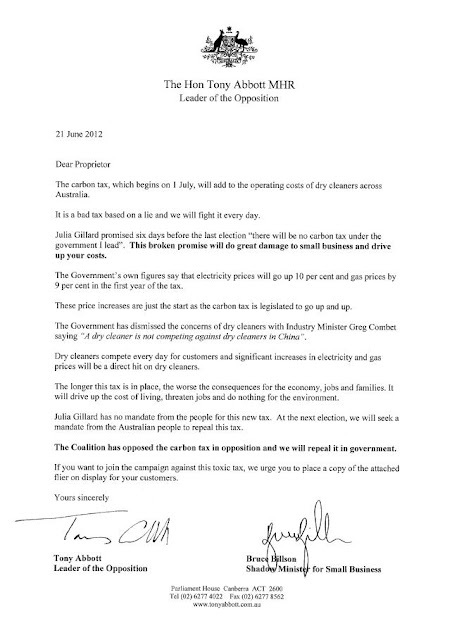 The Coalition said the accountants were unable to replicate the Treasury’s methods because it had not made them public. Treasury will also make the methodologies available to the new Parliamentary Budget Office which will independently cost political promises on request. Dr Parkinson told the conference the typical Australian voter was ageing. By 2050 almost one quarter of Australians would be aged over 65. “It is unclear what impact this will have on future Australian policy debates, but the experience in Europe and Japan hardly suggests that ageing populations are enthusiastic advocates of structural reform,” he said. 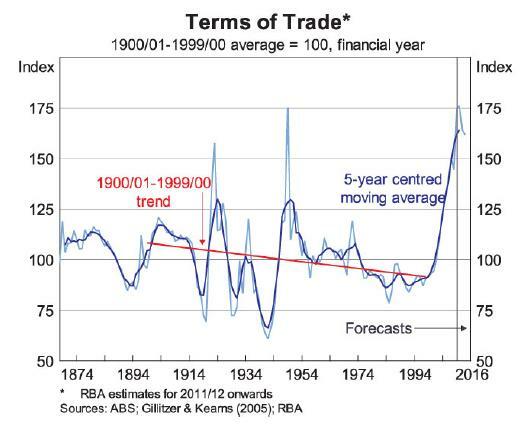 Australia’s economic success had been built on the “three pillars” of a floating exchange rate, an independent monetary policy and budget policy that aimed at running surpluses over the business cycle to build national savings. “In the current environment of volatility and uncertainty with what can seem overwhelming global and domestic pressures, some have been tempted to suggest dismantling or undermining this framework,” Dr Parkinson said. Dr Parkinson said he supported greater public reporting of foreign holdings of agricultural land, saying it could help dispel “myths and uncertainties”. Why be guided by evidence? Australia’s Coalition will press ahead with plans to expand work for the dole schemes despite a British finding they are ineffective. A peer-reviewed investigation by the UK Department for Work and Pensions of its own mandatory work activity scheme has found it has done nothing for the employment chances of the unemployed Britons referred to it. The study found that while being forced to work 30 hours a week got people off the dole for a few months, over the longer term referrals to the scheme had “no impact on the likelihood of being employed compared to non-referrals”. Jonathan Portes, director of the British National Institute of Economic and Social Research retained to peer review the study said the scheme was “a complete policy disaster”. “It is very difficult not to conclude that, whatever your position on the morality of mandatory work programmes like these, the costs of the programme, direct and indirect, are likely to far exceed the benefits,” he wrote on his blog. During the 2010 election it promised to make it the default option for Newstart recipients out of work for more than six months. Labor downgraded work for the dole schemes after taking office in 2007. They are now rarely used, only by Australians who have been out of work for a year, and only at the discretion of their job services provider. The avalanche of census data due for release Thursday is just a taste of what’s to come. Until now each Australian has been asked the same set of questions on the 18-page form which has been hand-delivered to each of Australia’s 8.5 million households. Next time, in 2016, there won’t be a form at all unless someone rings and asks for one. All that will be delivered is a letter - by post - including login details and a password. The success of the 2011 electronic lodgement campaign in which 30 per cent of households went online has persuaded the Bureau of Statistics to go for a “big bang” and abandon face-to-face contact. The savings will amount to $100 million of the $454 million it costs to run each census. Initially they will all be used to beef up the technology. By 2021 the survey will be barely recognisable. Individually-tailored questions will be added to the core questions asked for 100 years. 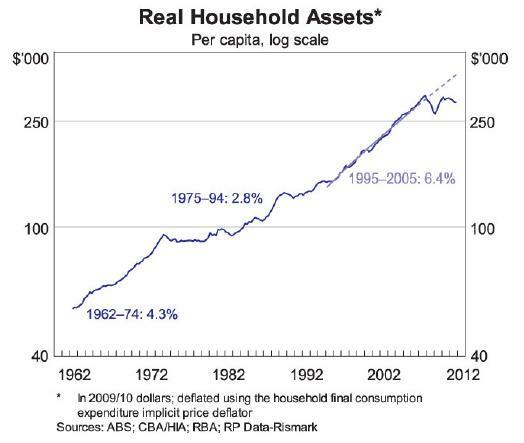 “Until now the census has been the most expensive real estate in Australia. To get an extra question on the form has been bloody difficult because most of it has had to repeat the questions asked in previous surveys,” explains Australian Statistician Brian Pink. One limit will be fatigue... But Mr Pink says the Bureau has discovered Australians stay happier for longer answering questions online. The online census will probably ask 25 common questions and another 10 to 20 special questions. For the first time some of the information will be provided by third parties. “In their last two censuses Canada has given people the option of consenting to the tax office providing their income data so they don’t have to. Around 85 per cent have said yes. We will have that capability if our Tax Office agrees. The ABS is already using Tax Office data to replace some its business data collections. Mr Pink says businesses love it, it bothers them less. It is also testing checkout scanner data provided by two large retail chains to see if it can replace some of the shadow shopping used to compile the consumer price index. Brian Pink has squeezed me in between international meetings - one in Geneva, the next one in France - where he is planning something big; so big that it will create a sort-of ‘super-census’ able to collect far more infomation about us far more cheaply than ever before. Australia’s chief statistician slips into Rocksalt, an intimate restaurant in the Canberra suburb of Hawker like a local, which he is. He lives in a nearby suburb of Belconnen, the north Canberra satellite where the Australian Bureau of Statistics has its headquarters 10 kilometres away from the apex of government in the parliamentary triangle. Harnessing the power of computing has been the dominant thread in Pink’s ABS career, as has putting distance between the ABS and politicians. Within months of taking on the top job on his return from New Zealand he cut off the early access to key statistics traditionally offered to the Treasurer and other government ministers, insisting instead they see them at the same time as everyone else - 11.30 am. Beside my scarcely touched pumkin filos on the table are the labour force figures released an hour earlier. “Wayne Swan tweeted about these at 11.40,” I tell him. “Are you saying he hadn’t seen them until I had at 11.30?” Pink nods and says he lets government officials see them in a pre-release lockup in the Treasury building, but doesn’t let the officials out until 11.30. There are occasional problems. Two years ago South Australia briefly lost its mantle as Australia’s biggest wine producer. A coding error gave to NSW. News reports alerted the ABS to the unlikely result and it tracked down and fixed the error. “I want people to challenge our data – that’s a good thing, it helps us pick things up,” he says pouring another glass of plain water. I tell him I am unhappy with the labour force release beside me on the table. 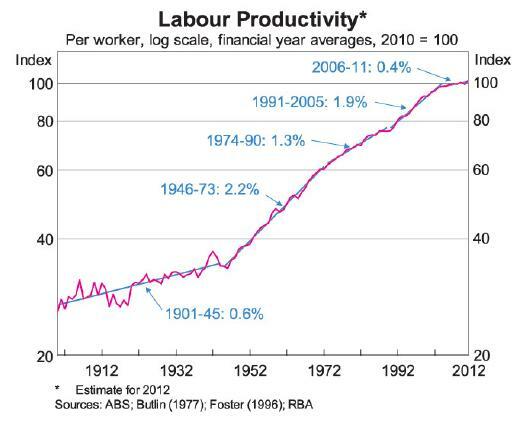 I think the methods used by the ABS falsely make it look as if jobs growth stopped during 2011. He says he doesn’t believe there is a problem, but gives every indication he’ll put my concerns to his staff, giving them just as much weight as if they came from the Treasurer. Although appointed by the governor general on the recommendation of treasurer Peter Costello, Pink can only be removed by both houses of parliament. 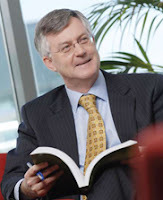 Although a jetsetter and something of an international guru - he is chairman of the OECD Committee on Statistics, and vice chair of the United Nations Statistical Commission - Pink networks most with his colleagues in Canada and New Zealand, who coincidentally run their censuses in the same years as Australia. Together they are planning a ‘big bang’ for 2016 - the biggest step yet away from the Bethlehem census in which baby Jesus was born in the first books of the New Testament. But first he needs to fix the ABS budget. He arrived back in 2007 to find it a mess. Costs had been rising far faster than expected. ABS interviewers knock on 30,000 doors to prepare the monthly employment statistics. Once contacted each household stays in the survey for eight months, with most of the subsequent contacts by phone. But its been getting harder to find people at home. In order to make big savings quickly Pink slashed the number of households surveyed by a quarter, making parts of the employment survey less reliable. He later restored the sample size while setting in train a line by line examination of what the Bureau did and whether it was needed. A “couple of hundred” of the Bureau’s 2,900 staff lost their jobs. Pink decreed that half the job losses had to come from his colleagues in management. He was not popular. “Some felt I was a traitor. Others could see the decision was in the Bureau’s long-term interest. Ensuring the security of an organisation is lonely,” he says. His next step could set the Bureau up forever. The first results of the 2011 census go on line Thursday. They cost $20 per person to collect. In 2011 there were 22.7 million Australians, making the total cost around $454 million. Pink plans to cut it by $100 million. The victims will be the army of 30,000 casual workers the Bureau has traditionally used to knock on every door in the country and leave an 18-page form. In 2016 all that will be delivered is a letter, by post. Each letter will include details of web access and a password. Only if someone is determined not to complete the census online will they they be posted a form, after phoning a 1800 number. Only if nothing is returned will an ABS employee visit. From 2021, after the 2016 changes have been bedded down, the census will no longer be one-size-fits-all document. Parents might be asked how their children travel to school. People with disabilities might be asked detailed questions about how they cope. The ABS is already using Tax Office data to ease the burden on business. So long as businesses consent, the Tax Office rather than an ABS interviewer provides information about its sales and profits. It is also experimenting with scanner data from supermarket chains as a labour-saving alternative to preparing part of the consumer price index. Pink says one of the problems is that the data is so rich. Right now the Bureau surveys the price of a 200 gram Cadbury block to work out the price of chocolate. With complete scanner data it is hard to know where to start. Pink talks as if he doesn’t want to finish. But then says he’ll retire in two years time. He has two children in their forties. His son in Perth has just given him his first grandchild and wants him to buy a boat, moor it in Fremantle and stay in Perth for months at a time. I can’t really imagine Pink just walking away and I tell him so. He has spent three hours telling me how much there is to be done. “Even on a yacht I am sure you’ll take an enormous interest in every part of the plans for 2016,” I say as I get the bill. “I will,” he says as if he means it. RAISED Seaforth, near Sydney’s northern beaches. The eldest of two boys. EDUCATED Balgowlah Boys High, University of NSW. Studied accounting, financial management and statistics.